In my eyes, Raheem DeVaughn is R&B’s version of your favorite MC when they were trying to get on. And it’s not like money’s trying to rhyme or nuthin like that. It’s just the fact that this dude was the first R&B cat I knew of who was out hustling his mixtapes and making a name for his self from the block to the boardroom. Now of course every R&B singer nowadays has got mixtapes, but like I said money pioneered that R&B mixtape game on some MC Shan ish. Now, the difference between Raheem and your favorite rapper, is that his albums are just as good if not better then his mixtapes. And his latest album on tap “A Place Called Loveland” is no different then the rest of the darts he has in the chamber...in fact, it's even better. “Dear Love Queen” is a CRAZY interlude (more on these interludes later) that sets off the playoff run that features Big Jazz from Dru Hill (ya’ll might as well grab my best of Dru Hill mixtape since we’re on the topic), “Cry Baby” is a bedroom banger that has Raheem asking his shorty “can you handle it, when I’m all the way in?” while “Make A Baby” takes R. Kelly’s “Half On A Baby” to the next level. The Dre King produced “Make ‘em Like You” reeks of nuthin’ but a mixture of hip hop meets rock meets soul meets the church, “like a love without filters unrehearsed, like a line in a Biggie Smalls verse…unbelievable.” And Raheem does his push off on Byron Russell (ya’ll do know MJ pushed off right?) with the album’s closer “Maker of Love” featuring one of my fave sax players Boney James to bring home the chip. But the real banger of the album...and I mean, the REAL banger of the album is "Greatest Love." Ya'll can go ahead and pencil this jawn in as one of the ILLEST slow jams of the past 20 years...EASY! My ONLY beef with “A Place…” is the interludes. These interlude remind me of listening to those classic Pete Rock and CL Smooth albums where Pete would have this INCREDIBLE beat playing as a 30 second interlude and you’re pulling you’re hair out like “why wasn’t this a whole song with CL on it?!?!? !” And that’s how you feel about these interludes. Every last one of ‘em (especially “Don’t Go” and “Love Queen”) NEED to be full songs…come on Raheem, why you do us dirty like that? 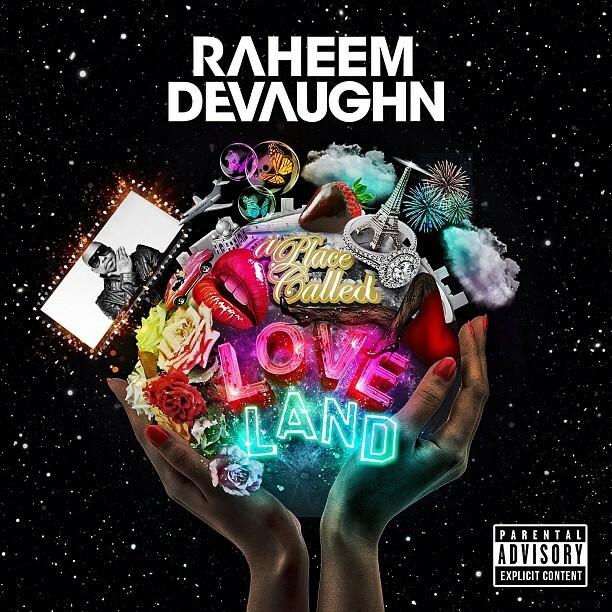 But even though money leaves us out in the cold with these interlude like Wood did Nina in Love Jones when he told her to “walk” at the end of the day, I won’t even hold you…I’d have to say that as a whole body of work, this is probably my favorite Raheem DeVaughn album and I’ve loved all of 'em but THIS is the one where he brings the chip home to the DMV. Salute.